This page contains promotions that I do from time to time. I participate in various promotions and advertisements, and any shared promotions will appear here. You can click on the image to either go to the shared promotion, or if it's one of my books, it will take you to the detail page with information on where to buy. The Awakening, Book 1 of the Evaran Chronicles prequel, is in this one. Check it out for other .99 books on sale! I have The Arrival, the Evaran Chronicles prequel, in this one. If you're interested in books about the future, check it out! The Arrival, the Evaran Chronicles prequel, is in this one. 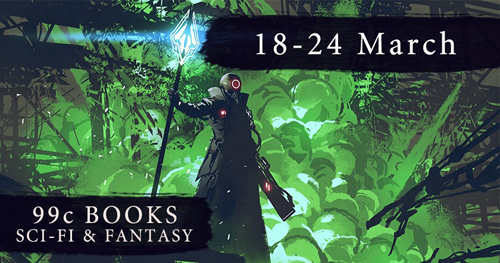 This promotion has books that will start you off in a new SFF series!